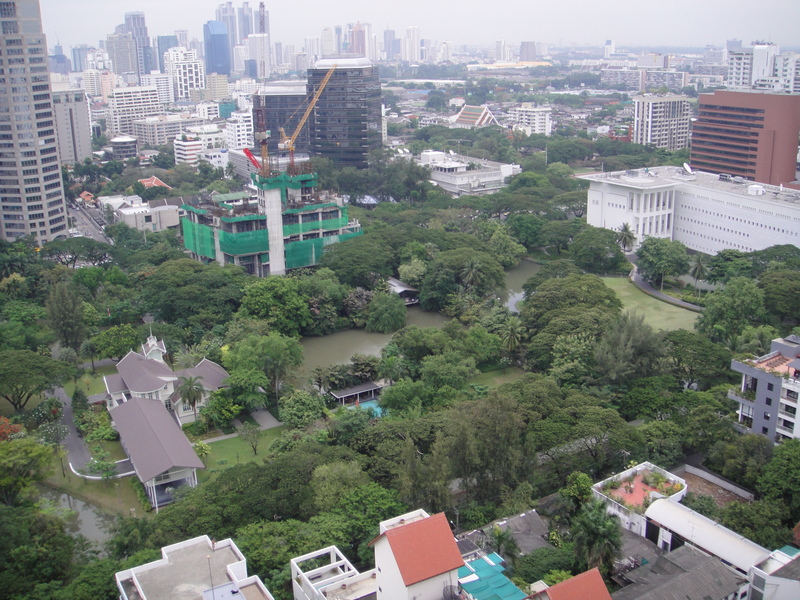 A Thai friend told me that Bangkok sinks 1/2″ each month, yet grows 1″ each month. This is part joke and part fact- Bangkok largely sits on water with “klongs” or canals everywhere; it is said that Bangkok is sinking and/or the water level is rising. 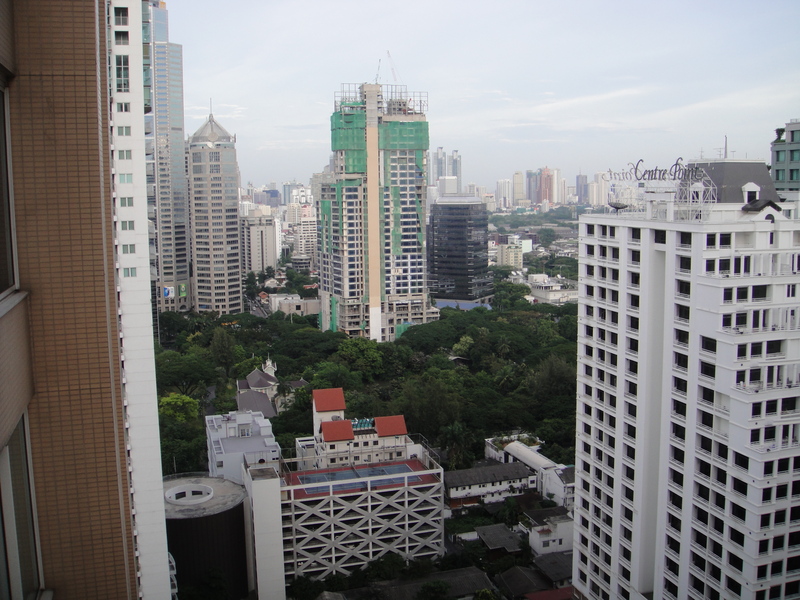 Bangkok is also constantly rising- there are construction cranes dotting the skyline. I found a picture from just over a year ago and one from a week ago that show a building under construction and the difference….around 36 floors added in 52 weeks. May 2011- The same building (green draped) with photo taken from a bit longer distance. Now over 40 stories. This entry was posted in Bangkok and tagged Bangkok, Buildings. Bookmark the permalink. Nice blog by the way, I’ve just discovered it. Very good and insightful. I appreciate his comment and agree with his article regarding buying property in Bangkok. This city changes very quickly, what is new today is outdated quickly. Nice to see that someone else heard the same “Bangkok is sinking” conversations and was able to substantiate it. I remain a renter…. thanks for the recommendation. I think renting is probably the wisest option, really…cheap enough, too.